We are one week away from the exciting Arrowverse crossover, “Elseworlds”. To get us ready, tonight’s episode of Supergirl ended with a shot of Earth 90. The world has been destroyed despite the best efforts of that Earth’s Flash, Jay Garrick (John Wesley Shipp). He is fighting against a man known as The Monitor (LaMonica Garrett) who appears to be using a book to change things. While it looks like he’s a bad guy, previous incarnations of the character have generally been in the morally gray area, so we probably should not jump to conclusions. 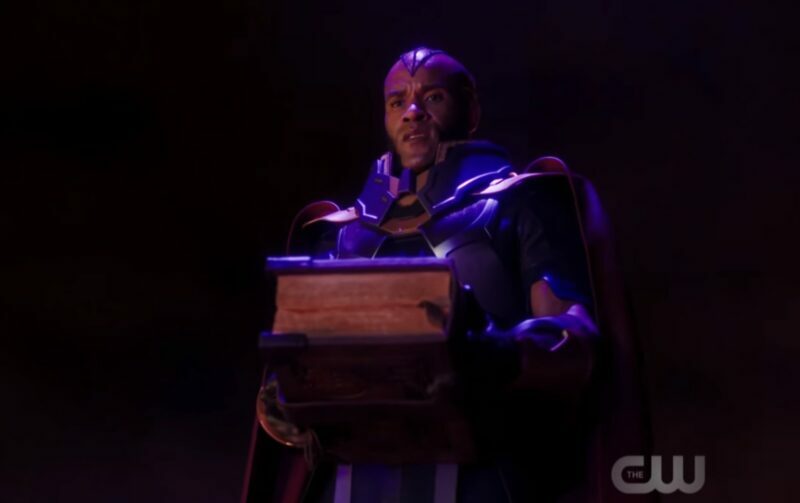 LaMonica Garrett as The Monitor. Image courtesy of The CW. Check out the Earth 90 clip and let us know what you think! Then watch “Elseworlds” beginning Sunday, December 9, 2018, starting with The Flash at 8/7c.